The line of trees in Braidburn Valley Park alongside Comiston Road are a prominent feature of the landscape. 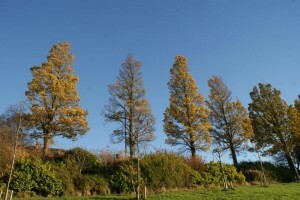 These trees are predominantly Wheatley Elms planted in the 1930s when the Park was created. The Wheatley Elm is a tall pyramidal tree of very even shape with ascending branches tapering to a distinct pointed top. The trees come into leaf very late compared to other trees (sometimes as late as June) and hold onto their leaves into December. The leaves are small relative to other elm leaves and turn a glorious golden yellow before they fall. The tree frequently develop distinctive burrs on its trunk. 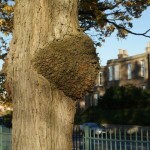 Several of these are visible low down on the trunks of the trees alongside Comiston Road and are of a considerable size. They do not appear to affect the trees vigour. The Wheatley Elms have slowly been succumbing to Dutch Elm disease. 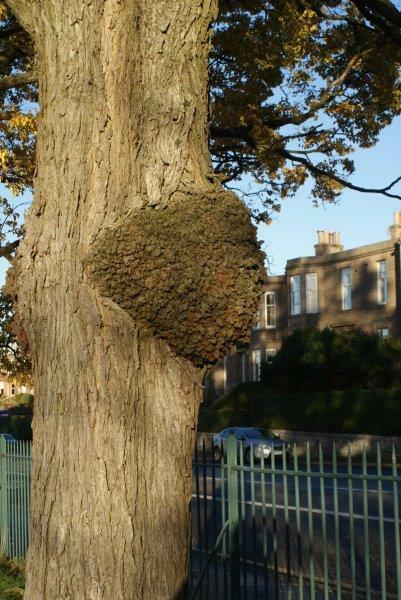 The City of Edinburgh Council has an active management programme for this tree disease; the trees are inspected annually and any showing signs of infection are felled. 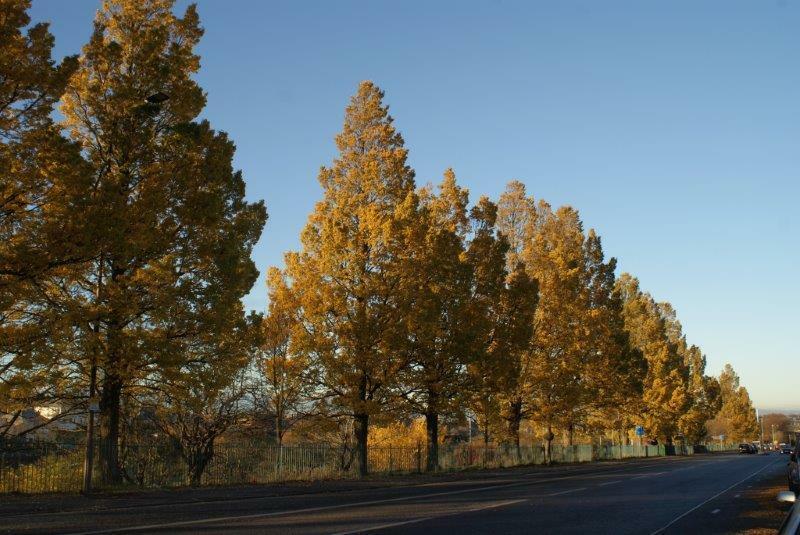 This management has helped preserve this fine stand of elms and over 40 trees remain. The Elms trees that have been removed are being replaced with trees of a different species mostly Red-twigged lime (Tilia platyphyllos ‘rubra’) due to the high risk of infection of Dutch Elms disease if new elms were planted.